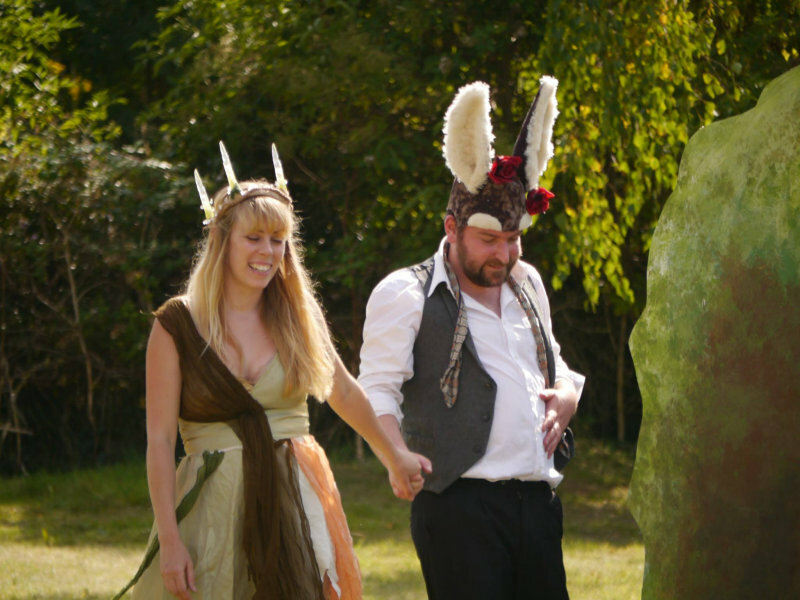 The Strange Fascination Theatre Co have created a wonderfully accessible production of Shakespeare’s A Midsummer Night’s Dream. 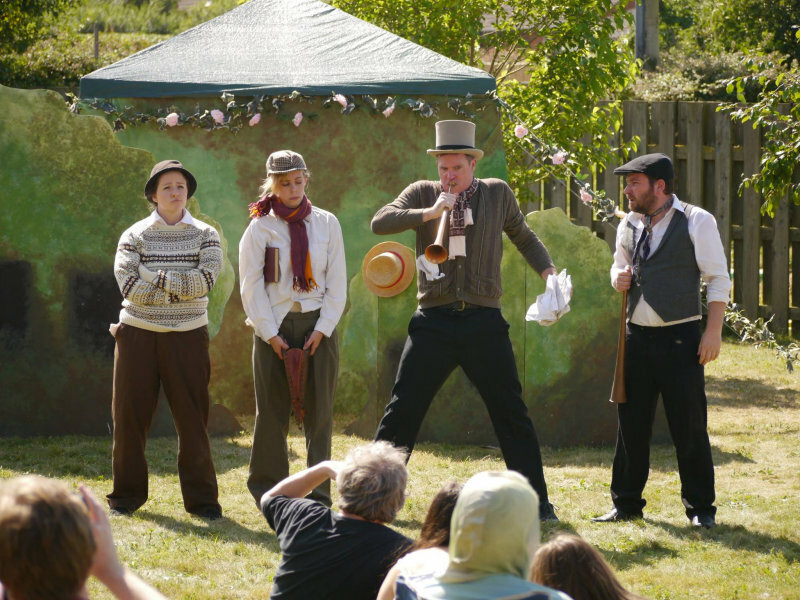 Five actors, playing a mixture of parts, have brought to life the language & story, with humour & the odd moment of slapstick. 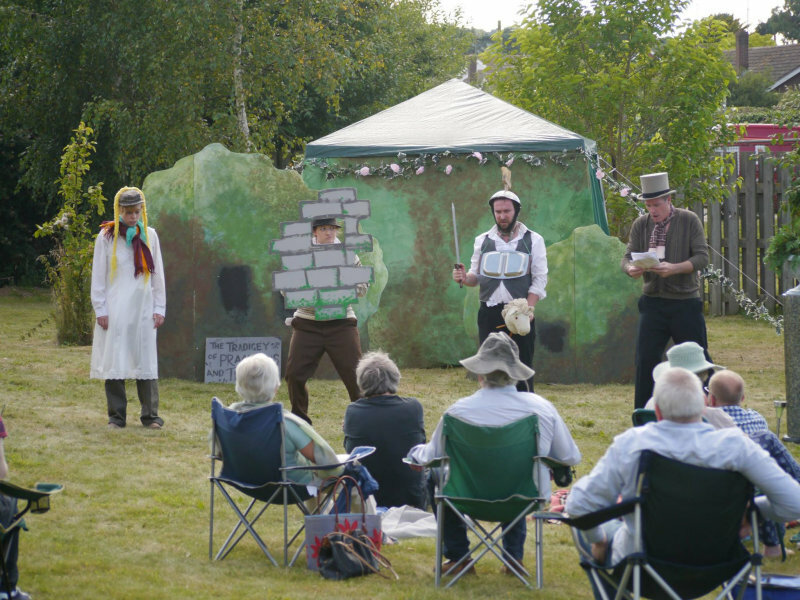 The only concern we had when watching the wonderful A Midsummer Night’s Dream, was whether we had enough picnic and sun cream, as we basked in the beautiful North Norfolk Coast sunshine on the Orchard at Dalegate Market, Burnham Deepdale. Talking to other members of the audience, we all felt the performance was great fun and a fantastic way to spend a couple of hours on a summer’s evening. One word of warning, make sure you don’t have scotch eggs in your picnic, because Bottom can sniff them out from many miles away. The setting of the play is amongst the orchard trees beside the pop-up shops of Dalegate Market. There’s plenty of room to lay a rug or place your chairs. There isn’t huge amounts of shade, so best to bring sunhats and sun cream and enjoy the beautiful weather. There is a café onsite and a small supermarket with an off-licence snacks and ice-cream. The cast are all Norfolk-based actors, passionate about bringing to life Shakespeare and giving any size audience a lovely couple hours. You don’t have to be pure Shakespeare lovers to enjoy this show, anyone who enjoys open-air theatre will have a great time. 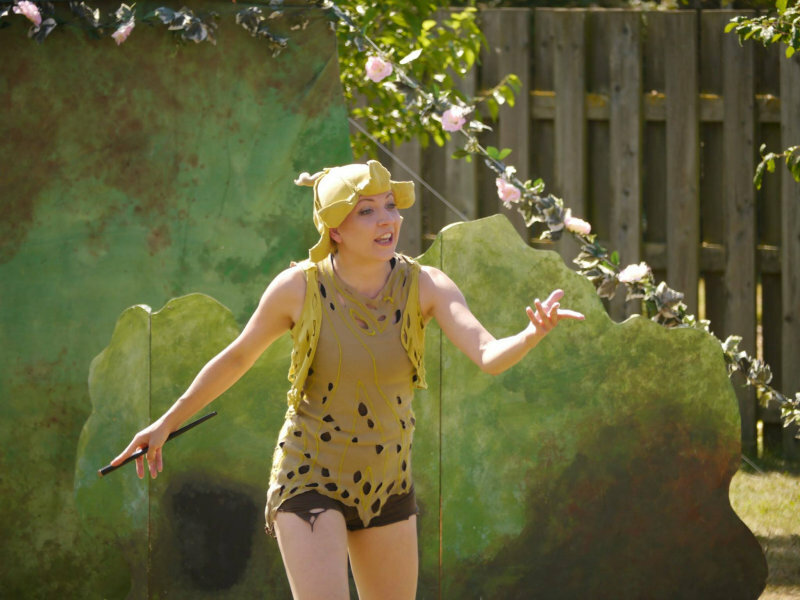 The shows continue until Saturday, August 13, with performances on Wednesday 10th (7.30pm), Friday 12th (7.30pm) and Saturday 13th (2.30pm and 7.30pm).